An essential Christian doctrine is the timing of when our Lord will gather together and transform His Elect. The Word of God clearly teaches that this will occur at the last trump (1 Cor 15:52). Many Christian teachers declare that the truth regarding the rapture is not an essential Christian doctrine; this is simply false. The gathering of the body of Christ is often referred to as the Rapture, and it represents one of the most significant end times prophecies. Rev 22:18-19 For I testify unto every man that heareth the words of the prophecy of this book, If any man shall add unto these things, God shall add unto him the plagues that are written in this book: And if any man shall take away from the words of the book of this prophecy, God shall take away his part out of the book of life, and out of the holy city, and from the things which are written in this book. To claim that the gathering together of the Elect occurs before the second advent of Yahshua is a telltale sign that an end times prophecy teacher is but a fraud. Those who have not been taught by the Holy Spirit, cannot understand the book of Revelations, and their so-called wisdom will only result in faulty interpretations and deception. Matt 15:8-9 This people draweth nigh unto me with their mouth, and honoureth me with their lips; but their heart is far from me. But in vain they do worship me, teaching for doctrines the commandments of men. Many of the students of these false teachers in the church, allege to have already received the gift of Salvation. This is a sure sign that they have not been sealed by the Holy Spirit, and therefore have not truly been born-again. A false pretense is a deliberate misrepresentation of the facts, or a behavior intended to deceive others. Satans pawns at the pulpit are merely interested in money, fame, and manipulation of the masses; these are aware of their pretenses. Some attend church services just to maintain a good social standing, and yet others have been led to believe that they are in God’s will, when in fact they are not. The ultimate reward for faithfully running the race set before us is to be redeemed unto incorruption and immortality. An essential Christian doctrine is that we must endure until the end to be Saved. The spiritual definition of complacency and apathy must include adhering to man-made doctrines of salvation. 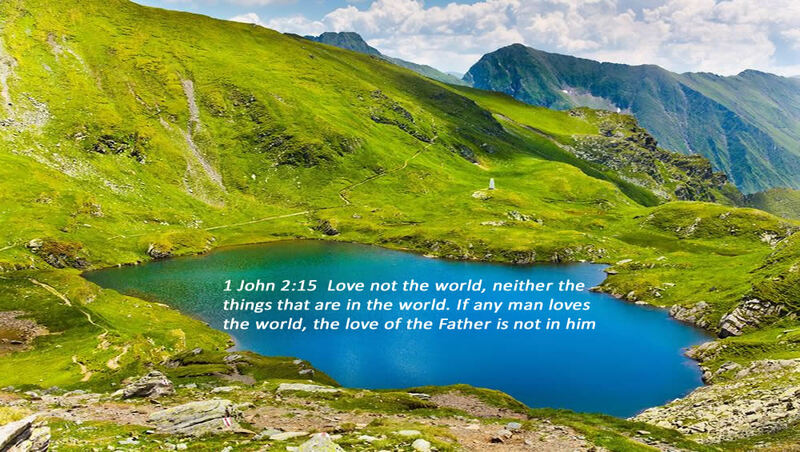 If we are unable and or unwilling to understand and authenticate the Word of God for ourselves, it is impossible to truly say that we love him with all of our heart, mind, and soul. Those who claim that they already are Saved, are deceived and this represents self-righteousness. Although the false teachers may bear the brunt of the judgments due, for putting forth such damnable doctrines of deceit, their students are also in grave danger. One of the greatest sins perpetrated against the Holy Spirit is committed by those that have fraudulently declared that they are both saved and born-again. This is a deadly crime that needs to be exposed. 1 Thess 5:8 But let us, who are of the day, be sober, putting on the breastplate of faith and love; and for an helmet, the hope of salvation. False teachers and their vain babblings destroy the faith of many, as they teach of a false Salvation that is realized through works. To claim that Salvation occurs in the present tense removes faith and hope from occurring. How can you hope for something you already claim to possess (2 Tim 2:14-18). However, we can have the assurance of Salvation, and the hope of our inheritance with Christ. This gives us an enduring faith that cannot be shattered. The end result of our faith is the Salvation of our Souls (1 Peter 1:9). Most who claim that their Salvation has already occurred, also believe in a pre-tribulation rapture, as they are unable and or unwilling to endure tribulations for Christ. 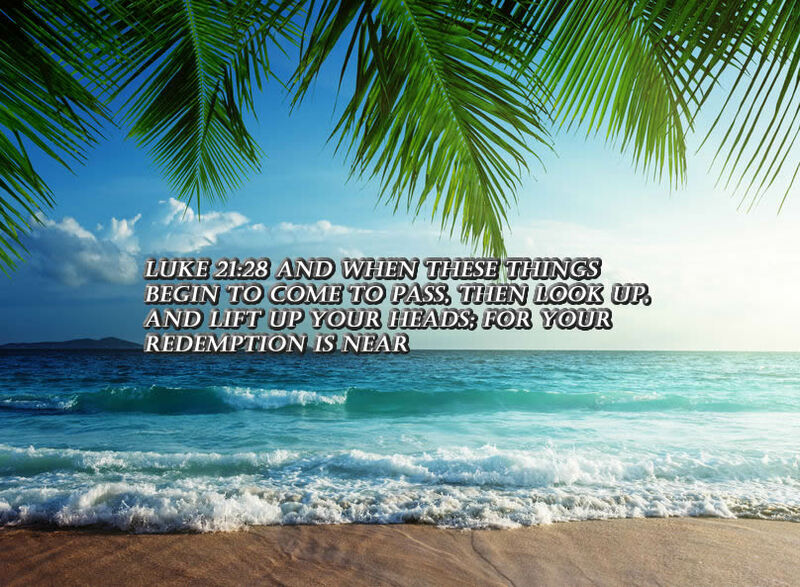 The Redemption for true believers is destined to be revealed at Christ’s Second Coming. An essential Christian doctrine is that Christ will return a second time, and this will transpire at the conclusion of the Great Tribulation. A secret gathering of the church and then a third advent is not mentioned anywhere in Scripture. So then the Messiah with a single offering did bear the sins of many; (and unto them that have patiently) waited for him shall he appear the second time (not to deal with) sin (but to provide) salvation (Heb 9:28). The infilling of the Holy Spirit is Yahshua dwelling within us. His Spirit teaches, guides and shows us things which must come to pass. His true followers that are Spirit-filled, will not accept lies such as the pre-tribulation rapture fairy tale. Another essential Christian doctrine is that we must, through much tribulation enter into the kingdom of God (Acts 14:22). Rev 6:9-11 And when he had opened the fifth seal, I saw under the altar the souls of them that were slain for the word of God, and for the testimony which they held: And they cried with a loud voice, saying, How long, O Lord, holy and true, dost thou not judge and avenge our blood on them that dwell on the earth? And white robes were given unto every one of them; and it was said unto them, that they should rest yet for a little season, until their fellowservants also and their brethren, that should be killed as they were, should be fulfilled. We all will experience tribulations if we faithfully carry our cross and are a true witness for our Lord and Savior. Apparently, this group of people that are supposedly raptured away before this time of trouble, have special privileges that the rest of the body of Christ did not possess. Yahshua Himself dispelled the myth of taking us out of the world before the appointed time. There are several promises hidden to most in the Lord’s Prayer. And none of them allude to a pre tribulation rapture. Deliver us from all evil. We are not taken up to Heaven, but Yahshua brings the Kingdom to us. Yahshua clearly explains that one shall be taken and the other shall be left behind. As it was in the days of Noah, so shall it be when the Son of Man returns. An essential Christian doctrine is to understand that the ones taken are to be destroyed. Christians most definitely want to be left behind, to inherit the kingdom at His second coming. Mark 13:24-27 But in those days, after that tribulation, the sun shall be darkened, and the moon shall not give her light, And the stars of heaven shall fall, and the powers that are in heaven shall be shaken. And then shall they see the Son of man coming in the clouds with great power and glory. And then shall he send his angels, and shall gather together his elect from the four winds, from the uttermost part of the earth to the uttermost part of heaven. After the great tribulation, the elect will be gathered together. Is this not an essential Christian doctrine to comprehend? It would be unnecessary to gather the heavenly host if it were not for the fact that they also were to reign on earth with Yahshua. Throughout history men and women have become martyrs for Yahshua. All day long His followers are counted as sheep for the slaughter (Psa 44:22, Rom 8:36). Many will also become martyrs for Yahshua, during the three and a half years of the Great Tribulation. Rev 20:4 And I saw thrones, and they sat upon them, and judgment was given unto them: and I saw the souls of them that were beheaded for the witness of Yahshua, even for the word of God, and which had not worshipped the beast, neither his image, neither had received his mark upon their foreheads, or in their hands; and they lived and reigned with Christ a thousand years. Matt 24:39-40 And knew not until the flood came, and took them all away; so shall also the coming of the Son of man be. Then shall two be in the field; the one shall be taken, and the other left. 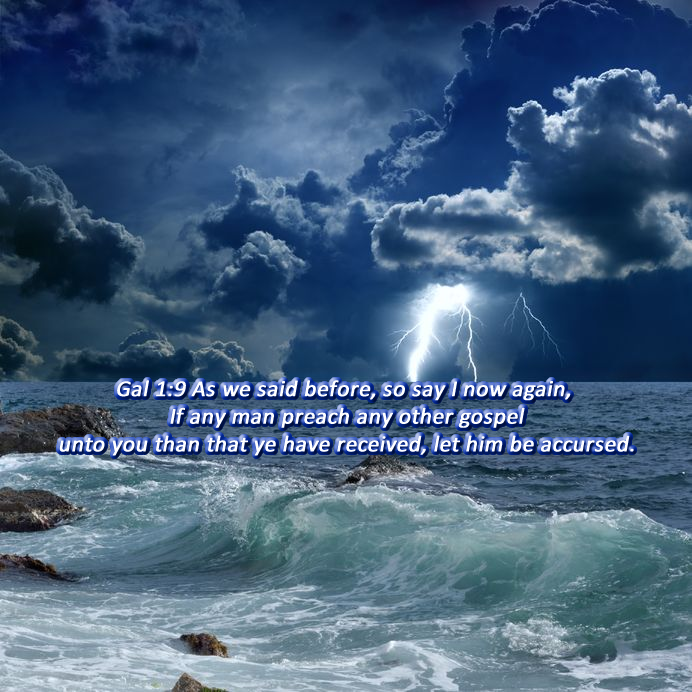 When Yahshua returns a second time, one shall be taken away, but it is not to heaven. They are actually taken to Hell, to await the final judgment after His 1000 year reign. The elect are left behind to remain on earth. This is the exact opposite of the pre-tribulation rapture teaching and is an essential Christian doctrine. The apostle Paul clearly points out that he will receive his crown of righteousness, at the same time as those who are left behind receive theirs (2 Tim 4:1). This also is an essential Christian doctrine. To imagine that one shall be taken to receive the reward of eternal life before the tribulation, while Paul waits until the end of the tribulation for his is beyond ludicrous. Yahshua judges the living and the dead at His appearing and His earthly kingdom. If there is a pre-tribulation rapture then this group escapes the judgment. This is impossible, as it is appointed unto man once to die and then the judgment (2 Tim 4:1; Heb 9:27-28). The Prophets, Saints and servants of Yahshua are all rewarded at this time, which is at the end of the great tribulation period. This verse in Rev 11:18, also completely destroys the possibility of a pre-tribulation rapture. A rapture or gathering of the church before this time is quite impossible, how could the prophets not be worthy of the same rewards of the church, that is supposedly taken away and transformed years before they are. An essential Christian doctrine is that Salvation can’t occur at any time other than that of the second coming of Yahshua. The reward for the righteous is Salvation, which just happens to occur when Yahshua returns (Isa 62:11; Col 3:24; Rev 22:12). 2 Thess 2:2 That ye be not soon shaken in mind, or be troubled, neither by spirit, nor by word, nor by letter as from us, as that the day of Christ is at hand. The day of Christ is in fact when He returns to gather his Elect. It is evident that the day in which we are gathered, or caught up in Yahshua, does not occur until after the Beast or man of sin is revealed. There goes the possibility of escaping the Great Tribulation. And finally, this all happens at the end of the Great Tribulation, as this is when Christ returns and throws the Beast and False Prophet into the Lake of Fire (Rev 19:20). The Great Tribulation is not the wrath of God. This is most definitely an essential Christian doctrine to comprehend. All day long true believers are accounted as sheep for the slaughter. But this is not God’s wrath, nor is the suffering during the time of the Great Tribulation. Salvation is received by those who are sealed with the promise of Yahshua. Hell and finally the Lake of Fire are reserved for the unbeliever. This is His wrath, which is the eternal separation from Him.